I was invited to take part in a panel at Kingston University for their Green Growth, Business BootCamp. The aim of the sessions is to address the increasing need to develop environmentally more friendly products and services and help enterprises & entrepreneurs make the most of the opportunities created by increasing consumer demand, resource costs, and regulatory controls in the eco-field. The second event in the series was looking at sustainable business models and innovation; What business models are available, and how can they be introduced? What are the elements of a business model? The panel session included myself talking about Ecoinomy – the behaviour change company who motivate employees to use less energy in the workplace, GoCarShare – helping people car share by hiring out the spare seats in their car and Makers – connecting designers, manufacturers and retailers with the very best UK manufacturers. All three companies have strong values, focus on a sustainable business model and have society and the environment in mind. I discussed how Ecoinomy have had to approach different stakeholders in different ways to explain the value of the system and about the importance of using the correct language to engage with people. The business model relies on direct cost savings being made; the system produces opportunities to reduce energy consumption, opportunities to motivate employees and ways to change general office behaviour – we call this a win-win-win system – the environment gains by CO2 emissions being reduced, the economy gains by people being efficient and using less and society gains by employees forming community groups to save money for a local cause of their choice. goCarShare encourages people to think about sharing car journeys to help reduce the number of empty seats on the road (and in turn reduce the amount of CO2 and pollution) and help share costs. Drummond Gilbert (founder of goCarShare) opened by saying that he learnt there are 38 million empty car seats in Britain everyday and he wanted to do something about it. Based on a Collaborative Consumption model which uses swapping, sharing, bartering, trading and renting to create business, goCarShare rents car seats on journeys. The environment gains because there are potentially less cars on the road which means reduced emissions, the economy gains because the driver gets help with petrol costs and society gains because….well, I car shared once with Craigs List in California and had a great experience. Whether it’s a case of having help stay awake, potentially sharing the driving or just enjoying the company, car sharing is a great way to change attitudes to the way we use our cars. goCarShare had a lucky break last summer when they partnered with UK music festivals to encourage festival goers to share the driving to the events. The Secret Garden Party even taxed people who had empty seats in the their cars! Chris Pett of Makers discussed how important it is to make the designer the heart of any manufacturing process to add value to the end result. Keen so use local materials and a sustainable supply chain, Makers turn sketches and prototypes into real products making sure that the product has not travelled miles to the end user but made the product where the end user is – while making sure their products are tested to international standards. 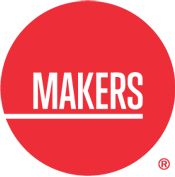 The right supply chain and pricing is as important as the look and function: Makers’ design service is focused on producing commercially viable designs ready for manufacture. Our design clients can also use the Makers production service to produce the finished product. Do you believe in what you do? It is essential to believe 100% in what you are trying to achieve. The ‘green’ and ‘eco’ world can be a tough place to succeed in if you want to quickly prove that you are sustainable. You must persevere, be articulate and not let people put doubts in your mind. How are you adding value for the end user? You need to remember that although you believe in your business, service or product, you still need to think about why the end user will use it. Whether you are changing behaviours in the workplace, offering a sustainable supply chain or helping provide cheap car journeys, you need be clear what makes you different to your competition. How do you explain what you do? Not everyone will understand the language you use to describe your business. You probably talk to like-minded people most of the time but there will always be people who either don’t want to understand or who are unfamiliar with eco focussed business. Think about changing the language you use to target the person you are talking to if you want to engage with them. How many times have you written your business plan? It’s important to have a business plan that you are happy with but it’s also important to not be afraid to veer away from it. If an opportunity comes along to collaborate with others, partner with another business or change your model, then do it if it feels right. With the changing economy and people becoming more environmentally conscious, it is sometimes worth being ready to change your business if it will help you reach your end goal quicker. Who did you last speak to about your business? Networking is essential. You never know who you might meet who could help you and your business. Not only at networking events or conferences but everyday! A small link may lead you to a large connection which could open doors and even raise your profile considerably. The Green Growth events is a great series for entrepreneurs wanting to be exposed to ways to succeed in business. Next week the session is looking at marketing. I hope everyone that attended the series is able to go away and set up one of the next successful eco-businesses. I have already expressed a passion in previous blog posts for collaborative consumption and building communities but this has only been exagerated by signing up with IDEO‘s online platform OpenIDEO. Rachel Botsman recently posted a Twitter message that said successful collaborative consumption ventures ‘come down to two golden rules: convenience & choice’. This has proven to be very true – OpenIDEO has been my choice to join and it is very convenient to use, especially if you already think in a socially orientated way! The online platform was set up to encourage people to design better together; crowd source information, build on others ideas and come up with sustainable solutions that can be implemented to help a community in some way. I love the fact that it is unintrusive; I can browse the posted inspirations, read about the various challenges, choose which ones I want to take part in, post as many pieces of inspirations and/or concepts as I wish, comment on as many as I wish, applaude, bookmark, build…. you name it, they have thought about it. If I wanted, I could choose to be a passive member of the community. I could log on once in a while and simply read what has been added. On the other hand, anyone with an inquiring mind or slightly competitive nature will want to add inspiration, post concepts and build on other people’s posts. The ‘design quotient’ adds another engaging aspect; it is a pie chart which shows how many points you have earnt for taking part in the challenges – what a fantastic way to encourage people to return to the site. I’m not sure if it is deliberate but it is not always that obvious where your points have come from – points definitely get added when someone has built on your idea but you do have to dig around to find out where from! 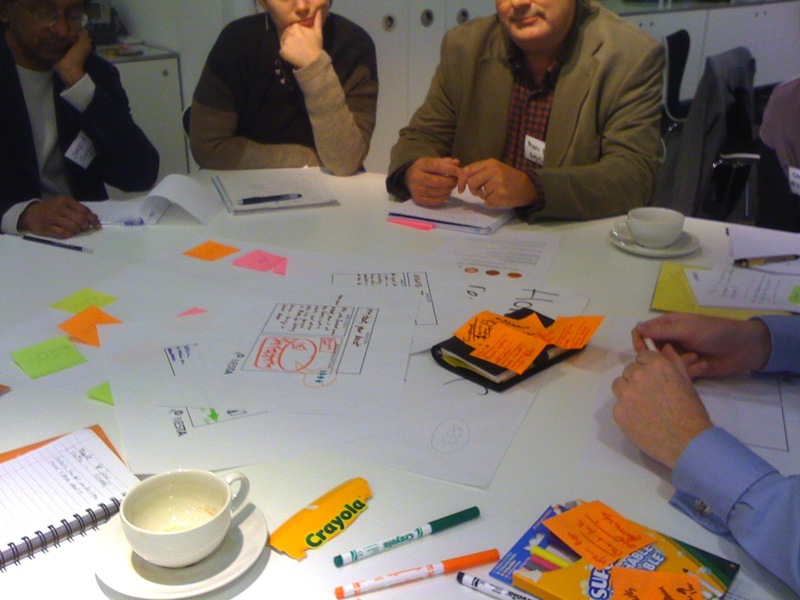 I first heard about OpenIDEO when Tom Hulme presented it at InterSections2011 in Cornwall at the start of March. He gave a very powerful and captivating talk about how the platform has grown and how building online communities in turn helps so many people around the world. I was intrigued and wanted to learn more…. Described on the website as ‘a place where people design better, together for social good. It’s an online platform for creative thinkers: the veteran designer and the new guy who just signed on, the critic and the MBA, the active participant and the curious lurker. Together, this makes up the creative guts of OpenIDEO’. It has been designed to be inclusive, community-centred, collaborative, optimistic and always in beta (open to continuous improvement). These are all words which are core to being a successful social innovator. – No one should ever be left out because they are not a ‘designer’ or feel they are not creative. – If socially orientated people (or anyone!) do not think community, they will get left behind and isolated at some point. – Sharing ideas, knowledge, insight and experiences is essential for an idea to blossom. Two people with the same challenges can come up with very different concepts yet help each other with what they have learnt. – Being open to continuous improvement is a very brave yet realistic point to make. How can your idea ever be 100% finished, especially as society is forever changing? The challenges are set with industry partners on real life problems which is another reason why I have become so attached to the community. I know that any inspiration, concept or evaluation of another concept I contribute with can help to build on the ‘winning concept’ which in turn will make a difference for many people in the world. The industry partners are able to take the well thought through ideas into the situations they are required in. The blog ‘Failed Robot‘ has a interesting write up on the platform which shows a diagram to help explain who gets involved and why. Some great thinking has gone into why people take certain actions and this is particularly interesting when related to social issues within an online community. – for allowing members to really feel part of a community; testimonials can be written, applauding can be given, comments are welcomed and the OpenIDEO community champions are fantastic at helping build on ideas. It doesn’t matter what your background is, what your nationality is or what culture you are from, we can all learn from each other and this is fantastic. It removes any barriers from communicating with other members and instead encourages collaboration between like minded people. 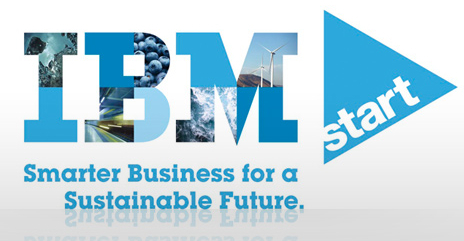 Another example of successful online collaboration was this week’s IBM Start Jam. A two day event of collaborating on sustainable innovation took place online and a vast number of people took part. Guest contributors came on for set amounts of time while other people simply contributed over the 48 hours. The online platform appeared to be aimed at sustainability consultants, innovation managers, CSR consultants and corporate organisations. Set up to encourage innovative collaboration around the globe with multidisciplinary and open mindsets, the Start Jam brought ‘different perspectives together to discover new solutions to long-standing problems’. IBM wanted to work across industries, disciplines, and national borders which they managed to do. I didn’t find the interface very intuative but once a question had been posted and people started to reply, the threads grew and I was soon hooked on reading all the responses. Seeing how conversations developed, how people responded and how focused people were on the original question fascinates me. Some people really thought on a corporate level yet the posts I could relate to more were the local, community focused ones. It didn’t mean they were not as relevant, I just felt they were more true to real life situations. As the Start Jam was only for a short period of time (unlike OpenIDEO which is ongoing) it meant that people tended to have short bursts of collaboration (maybe in their break time or time allocated during their day to take part) which to me took away the community element. If you commented on someone’s post, they were less likely to comment back. This could have been because they had logged off and felt they were done with their contribution or because there was no incentive (no Design Quotient) to return! I have to questions why these types of online platforms and community builders only seem to happen in the sustainability and social innovation sectors? Are other industries less happy to share information or maybe they do not see the power of building a community around a subject? Maybe their community are not ready or do not have the time to take part in an online platform? I think it all comes down to design thinking – design thinkers understand the need for concise storytelling, collaboration and are able to take a small piece of inspiration and realise it into a sustainable solution efficiently. This has to be done through engagement, empathy, prototyping (or all three!) and realising that it takes a team of different disciplines for an idea to be successful. I wish I could have taken part in the service design, Global Jam 2011 where service designers in different countries set up Jams together to design brand new services inspired by a shared theme. Time and effort are required for these types of events but service designers and social innovators are forever inspired by them! 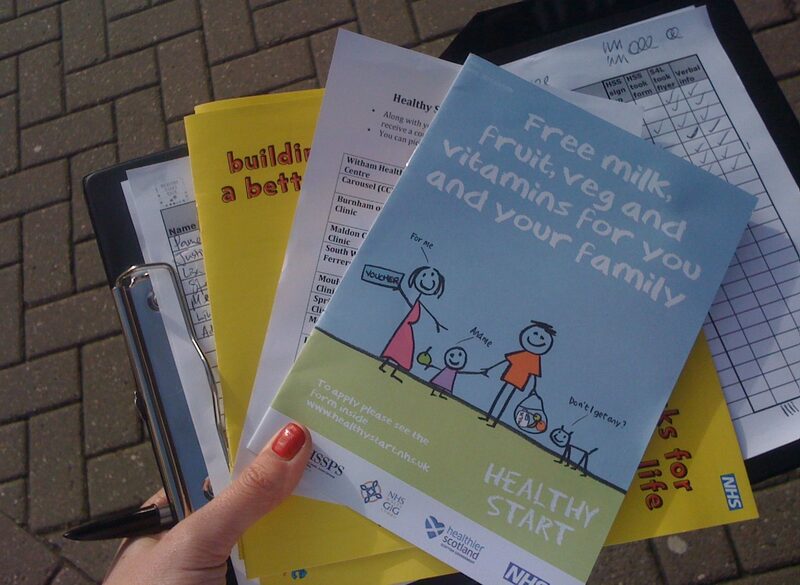 I worked with UsCreates for a day helping to promote and gain an understanding of who is aware of and using the Healthy Start scheme; an NHS initiative to help provide fruit and veg to expectant mothers and those with small children. We had a tiring day on our feet, stopping anything moving that looked like a pram. But it was a day filled with insight. Some families were very aware of the scheme but didn’t necessarily take the offer up due to supposed lack of accessibility. Others had never heard of the scheme because their health professional hadn’t promoted it and others didn’t see the point in being interested. A very mixed response but it was clear that accessibility and stakeholder buy-in are essential. The flyers communicating the scheme were well executed – simple to read, colourful and easy to digest! The day was spent in Essex and as we had a pop up café to take with us, we hired a StreetCar. I’ve been very aware of the StreetCar scheme; my old flatmate was a member four years ago and I remember the unsuccessful day that we tried to rent one but the membership card was faulty and we couldn’t access the car. I’m not a member and to be honest have been put off by the membership fee and strict rental hours but having the chance to test it for this project has changed my attitude. A very quick call with the StreetCar team which involved a simple conference call with the DVLA, downloading of the iPhone app and booking my nearest car was all I had to do. The cars are situated in very clear ‘club car’ bays which make them easily distinguishable and all I had to do was ‘swipe’ my iPhone near the car, the door unlocked and off I went. Rachel Botsman’s talk at the RSA on Collaborative Consumption stimulated my interested in this area of social innovation again and now I think I’m hooked. It was efficient and has my trust which were the two aspects that Botsman said were essential for enabling interest. It’s no longer about ‘me’ but ‘we’. I felt part of the StreetCar team and enjoyed the fact that I didn’t have the responsibility of car after that day, which is often the problem of having a car in London. I’m still not happy about having to pay a yearly subscription for StreetCar but luckily Botsman spoke about WhipCar, the car sharing scheme which allows car owners to rent out their own car. What a fantastic idea. I went straight onto the site when I got home and loved the personal touch given by each owner. There is the option of renting a car opposite where I live from a guy who simply ‘has his car in the garage and hardly ever drives it’. The prices vary depending on who the owner is and the insurance is covered by WhipCar. I just need an excuse to rent one now. A few years ago I would have found a reason to go to Ikea but luckily my social sustainability lifestyle now only takes me to the recycle centre or to people’s houses with Freecycle! Are you a social innovator? How would you define the term ‘social innovator’? The Centre for Social Innovation define it as ‘new ideas that resolve existing social, cultural, economic and environmental challenges for the benefit of people and planet. A true social innovation is systems-changing – it permanently alters the perceptions, behaviours and structures that previously gave rise to these challenges.’ This definition to me is what a sustainable designer does. It tackles the three pillars of sustainability for a balanced future and concentrates on behaviour change. I used to call myself a sustainable designer but after giving a presentation on ‘creating social cohesion’ for the 15th Sustainable Design Network seminar I tend to say I am a ‘socially sustainable designer’. I see this as encompassing design thinking, service design and social innovation to help make our planet a better place to live. Some people would see this as purely social innovation but I feel it is important to keep the word design included – a designer uses their creativity to solve problems while a social innovator could be argued to make social change. It could be that understanding the design process or being able to realise the end result puts a designer at the forefront of innovation where as an ‘innovator’ is more business focused? The website ‘Challenge Your World‘ makes the following observation that ‘the term social innovation is both vague enough to attract a diverse following and specific enough to afford its followers a sense of identity. But left poorly defined for too long, I worry that social innovation could lose its followers like chewing gum loses its flavour’. Social innovation is very important for the current climate. The Big Society needs social innovators to help implement the governments goals. Collaborative consumption, sustainable design, service design, design activism and co-participation/production are all successful contributers to helping The Big Society idea. There are plenty of people out there already contributing – but do they realise? For example, my neighbour is setting up a new company to help companies recycle their unwanted goods but she thinks of herself fundamentally as a business woman whereas my cousin is helping reduce food waste yet fundamentally thinks of himself as a chef. I trained as an industrial designer yet now think of myself as a socially sustainable designer. I would call us all social innovators. There are many people out there doing great things to help our environment which are socially orientated – let’s help them make their ideas happen and promote their work – this takes me back to the Challenge Your World comment about not letting social innovation lose its followers – the design activist in me is always on the look out for new adventures and projects which we, as a society can benefit from. 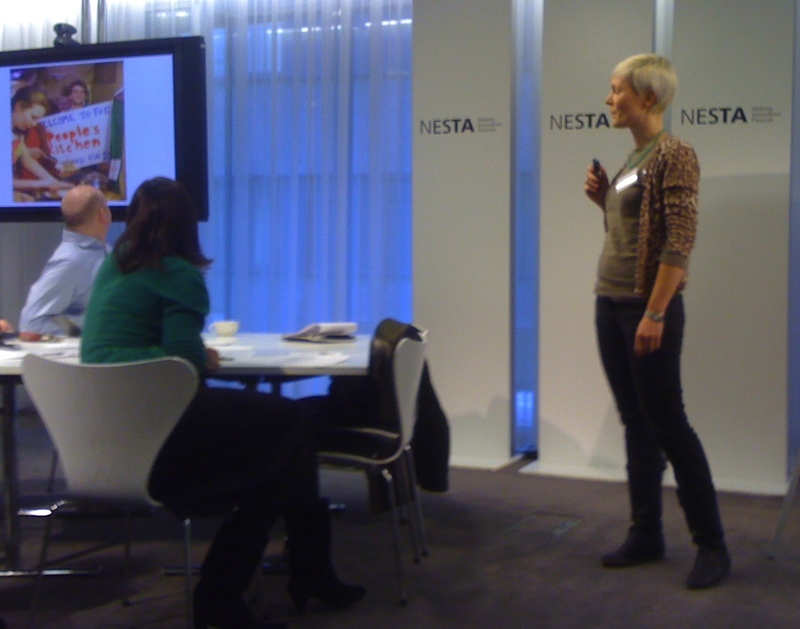 I was very grateful to be able to participate in a really exciting workshop at NESTA on collaborative consumption. 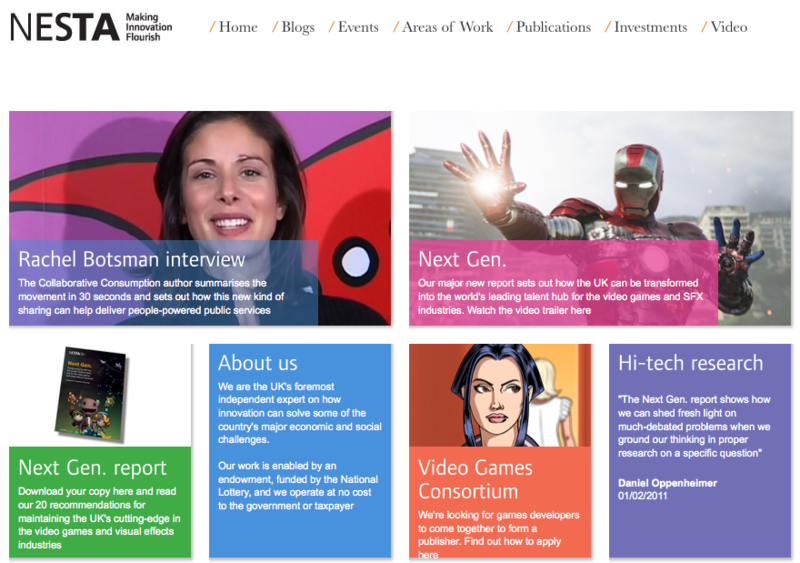 Rachel Botsman has been in the UK promoting her book ‘What’s mine is yours; how collaborative consumption is changing the way we live‘ and has subsequently been giving talks and presentations. I was lucky enough to present The People’s Kitchen project I’m working on at the start of the session. I received some great questions from the other participants. People were interested in finding out who comes along, how it is being funded, what a typical donation is and are supermarkets ever concerned about being sued by giving away food past their sell by date? The workshop session was focused around how the rise of collaborative consumption can impact on Public Services, particularly in these difficult times. The group I worked with was on how to re-invent the service offering and business model of libraries! Facilitated by the excellent Mok from Innovation Beehive, we acted out an idea around changing libraries into a zoned space allowing it to used in different days during the day. I came away from the workshop feeling very positive about how collaborative consumption can help our public services. We need to come together and share our experiences and skills to help improve what we already have. There are a large number of opportunities out there for developing the services we use – we must not be scared about changing the way we currently do and view things.